In 2014, CNN began exploring America’s past with “The Sixties,” a multi-episode documentary miniseries focused on important cultural happenings of that decade of the twentieth century produced by actor Tom Hanks’ Playtone. This was followed up with “The Seventies” in summer 2015; at the end of last month, “The Eighties” began its run. The premiere episode, “Raised on Television,” aired on March 31, and quickly became the second-most-watched debut for an original series in the network’s history. Just about every aspect of the TV in the 1980s is covered, including drama, sports, sitcoms, journalism and more. “Raised on Television” allows the viewer to reflect on just how much television has evolved in the last 30 years. At the beginning of the decade, audiences were enthralled with Texas-based soap opera “Dallas,” which reached a peak moment after the March 21, 1980 episode “A House Divided,” where an attempt is made on main character J.R. Ewing’s life by an unknown person. The killer’s identity would remain a mystery until November that year. “‘Who shot J.R.?’ is a reflection of old-fashioned television. It’s a moment that gathers everyone around the electronic fireplace, which is now the television set,” said Gil Troy, author of “Morning in America,” in an interview. A few years later, on February 28, 1983, the final episode of “M*A*S*H” aired, which attracted 125 million viewers. “We began to turn television into an art form. For the first time, people were proud to say, ‘I write for television,’” creator Steven Bochco said. On Friday March 6, 1981, CBS Evening News anchor Walter Cronkite retired. A new generation would replace the media’s old guard. “The '80s may have been the last gasp where people watching the media liked and trusted the media,” said television critic David Bianculli. The 1980s also saw the rise of ESPN and cable sports, which emphasized various rivalries and drama. “What happens in the 1980s is sports becomes a TV show. And what are TV shows built around? They’re built around characters,” said Matthew Futterman, Wall Street Journal sports writer. Tennis players like John McEnroe and Bjorn Borg, and basketball players like Magic Johnson and Larry Bird provided networks with fascinating competitions. “Michael Jordan becomes the model that every other athlete wants to shoot for. They want to be a brand. And that’s what television does for these athletes – turns them into worldwide, iconic brands,” added Futterman. 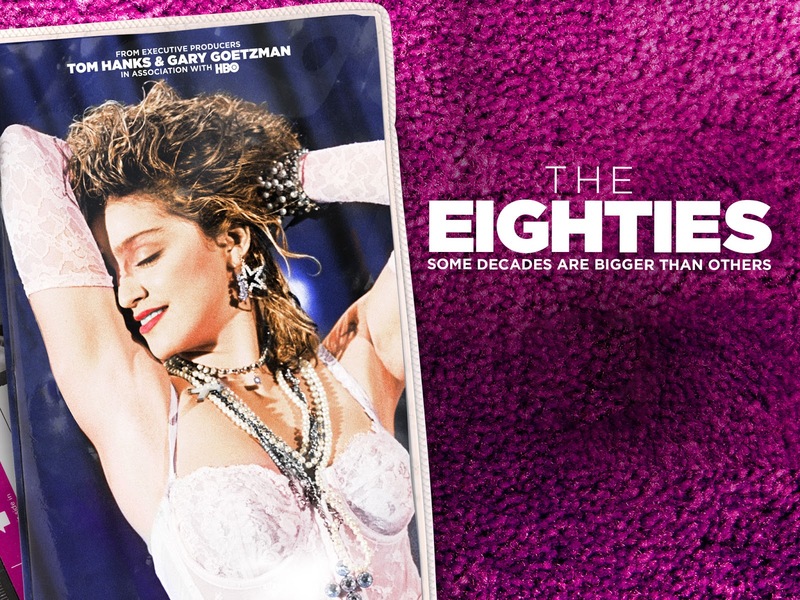 The next episode of CNN’s “The Eighties” airs tonight at 9 p.m. EST. It revolves around President Ronald Reagan’s seminal “tear down this wall” declaration, as seen in the clip below. Click here for a recollection of other hit TV shows from that decade.